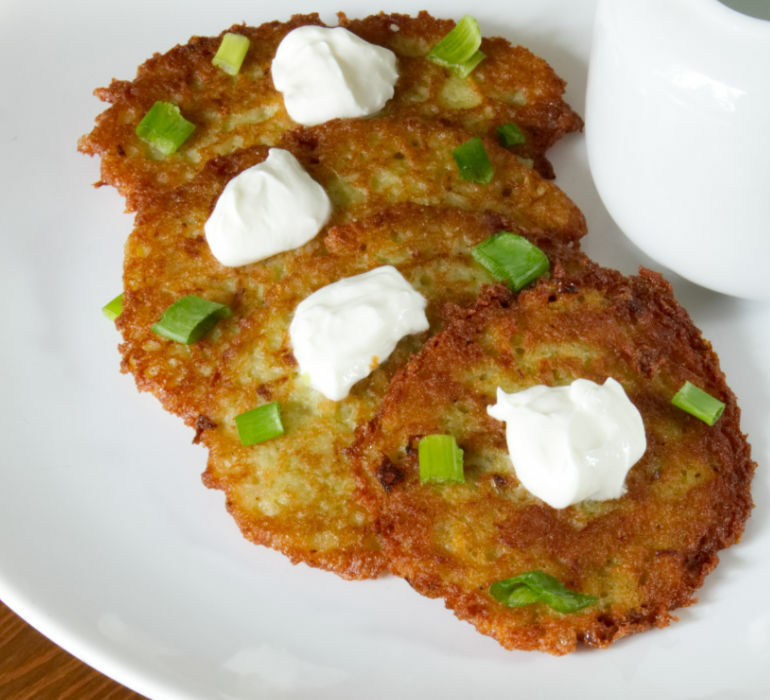 Potato pancakes in my family were served mostly on Fridays. They are easy to make and taste delicious! Polish serve them with sour cream, so savory. Grate potatoes finely, chop the onion and put them into a large bowl. Drain off any liquid. Add egg, salt, and black pepper and flour. Heat the oil in the frying pan over medium high heat and place one tablespoon of potato mixture so the pancake is 0,5 cm thick and round. Fry until golden brown each side. Repeat until you use all mixture.